Richland Center, WI: On June 30, 2018, a strong storm hit the area. Due to the strong winds associated with the storm, several trees and powerlines were knocked down leading to approximately 600 households without power. There were no injuries reported. Richland Center Emergency Management, Richland County Emergency Management and Richland County Health & Human Services worked to ensure the safety of any residents that may have been negatively impacted as a result of the power outage, particularly those utilizing medical devices requiring power such as oxygen concentrators. Partnering with the Salvation Army, all those residents identified as needing assistance were able to sleep well knowing their oxygen was not going to run out overnight. 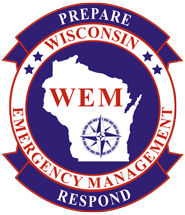 Thanks to the City Utilities of Richland Center and their partners working through the night, nearly all households had power restored within 12 hours despite the widespread damage. Richland County Emergency Management encourages everyone to be prepared for emergencies such as this. Though the power was only out for a short amount of time with this incident, it could have been far worse. Knowing what to do before, during and after an emergency is a critical part of being prepared and may make all the difference when seconds count. Our emergency responders do an incredible job of keeping us safe, but they cannot do it alone. We must all embrace our personal responsibility to be prepared, and in doing so, we contribute to the safety and security of our communities as well. So make a plan; you can find a sample plan and much more on the Richland County Emergency Management website. Create a kit with any of the emergency supplies you might need, like flashlights and batteries, non-perishable food, etc. Knowing what to do in an emergency can be the hardest part, but having a plan and a kit to enact it can mean the difference between feeling helpless and feeling confident. For more information, visit the Richland County website at em.co.richland.wi.us. CHICAGO – Dangerously low temperatures and accumulating snow are in the forecast for much of the Midwest and the U.S. Department of Homeland Security’s Federal Emergency Management Agency (FEMA) wants individuals and families to be safe when faced with the hazards of cold temperatures and winter weather. You can find more information and tips on being ready for winter weather and extreme cold temperatures at http://www.ready.gov/winter-weather. Follow FEMA online at twitter.com/femaregion5, www.facebook.com/fema, and www.youtube.com/fema. Also, follow Administrator Craig Fugate’s activities at twitter.com/craigatfema. The social media links provided are for reference only. FEMA does not endorse any non-government websites, companies or applications. Richland Center, WI: An Arctic cold front is expected to plunge into the area Saturday night into Sunday bringing a chance of snow, but more importantly, the coldest air of the season (in fact, potentially the coldest air since early February of 1996). Wind chills late Sunday night through Tuesday morning could be as cold as 40 below to 50 below zero! Here are some helpful tips to help you be prepared for this incoming very frigid and dangerously cold air mass…. 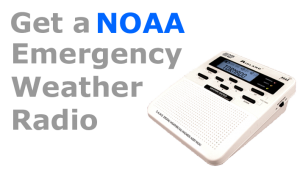 Question: Why do I need an Emergency Weather Radio? Answer: They are like “smoke alarms” for danger. Emergency Radios pick up emergency information 24 hours. Critical to have on all the time, especially at night. You get the message directly from the National Weather Service and other agencies immediately. Alerts you to weather dangers like tornados and floods, accidents like nuclear power emergencies, and terrorist attacks. 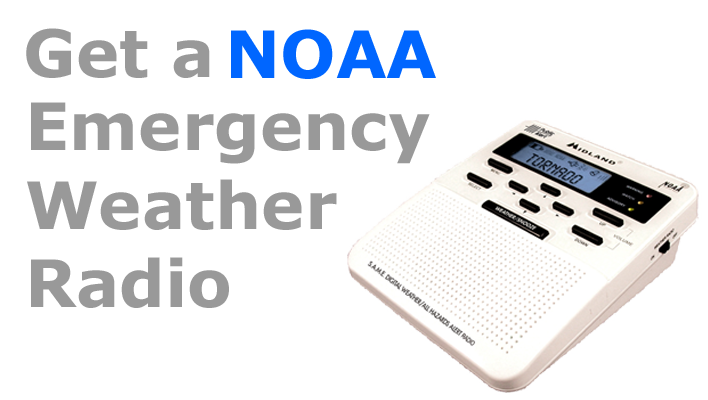 Question: How to I get an Emergency Weather Radio? Question: How much do they cost? Answer: Radios range from $20 to $100. Question: Are all Emergency Weather Radios the same? Answer: No, you should look for a radio that has S.A.M.E. S.A.M.E allows you to pre-program the weather radio to filter out distant weather warnings. You can program it to monitor different counties in your area. Is where I live covered by an emergency weather radio signal? Answer: Almost all of Wisconsin is covered by transmitters scattered across the state.